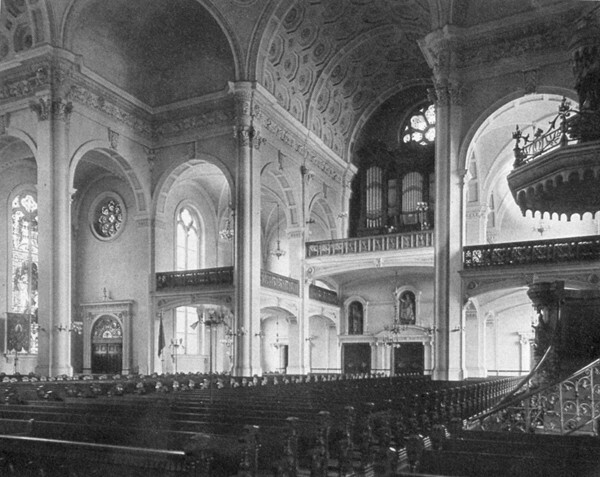 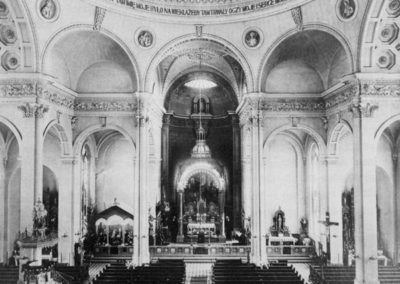 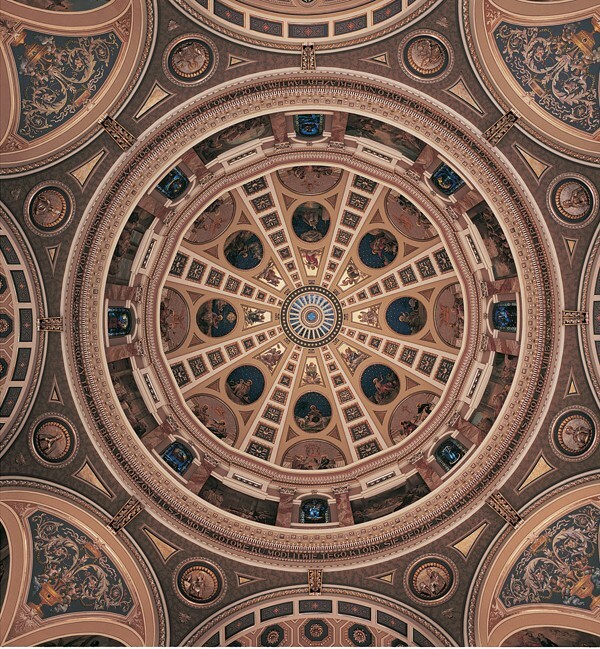 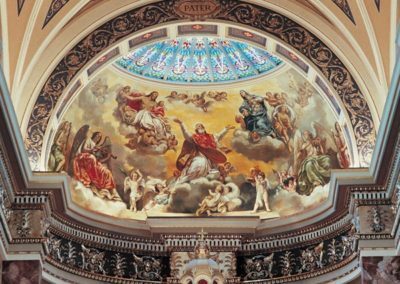 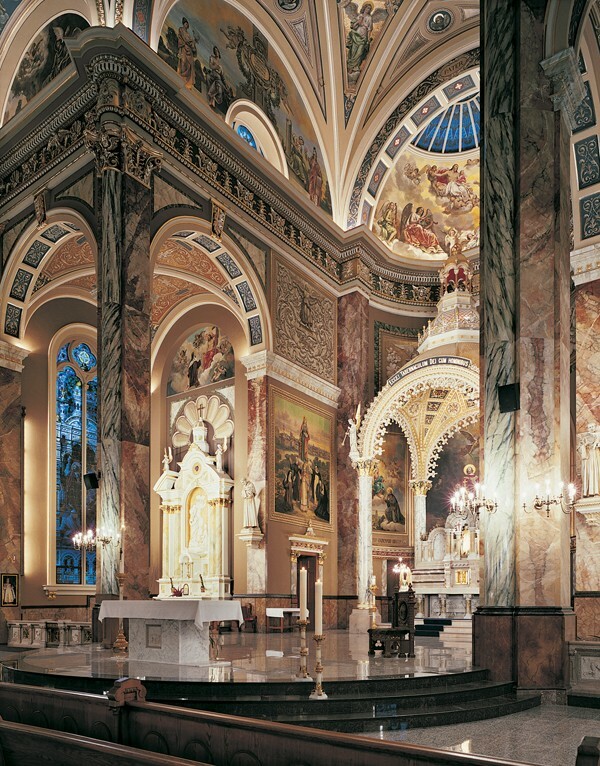 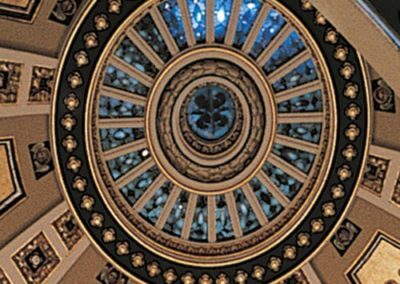 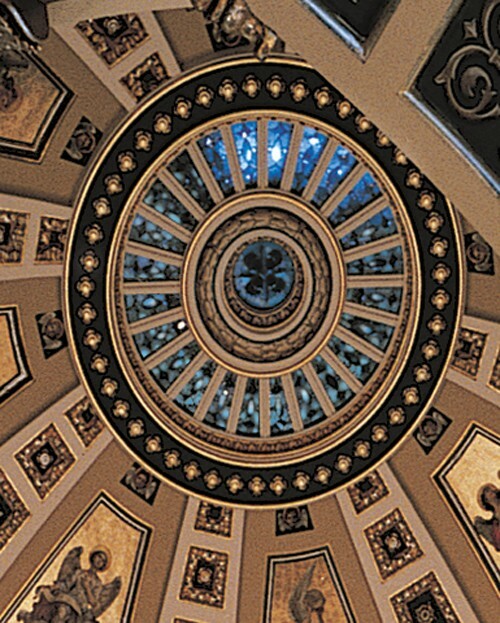 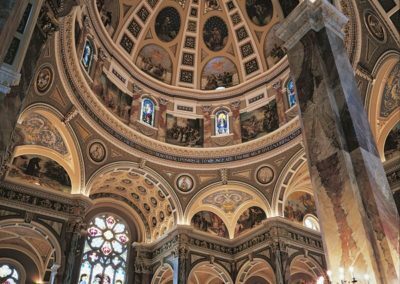 Restore the interior of the Basilica in Milwaukee, Wisconsin, to its 1926 decorative grandeur, originally executed by Conrad Schmitt Studios and Roman artist Professor Gonippo Raggi. 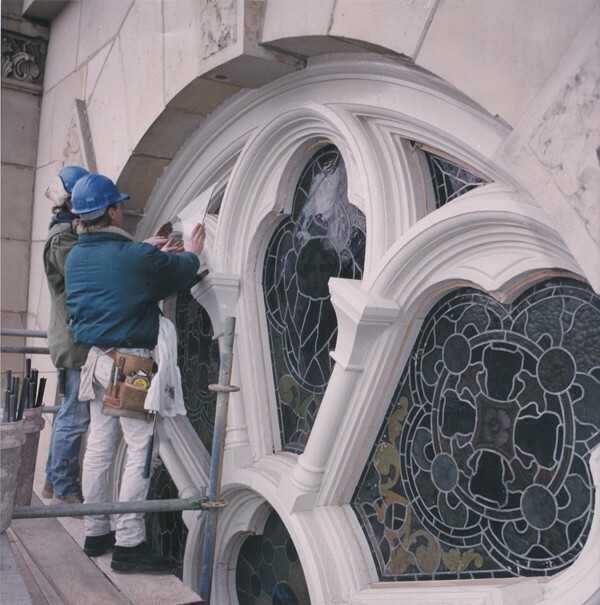 Five conservators spent 30 days investigating the original decorative scheme. 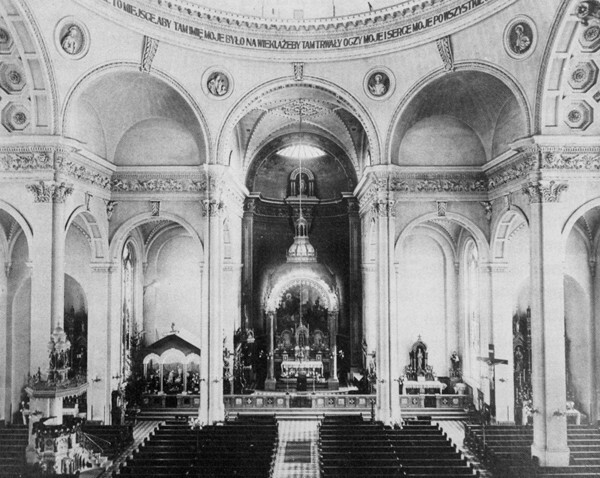 Once the surfaces were documented, 1,100 frames of scaffolding were erected and the interior restoration began. 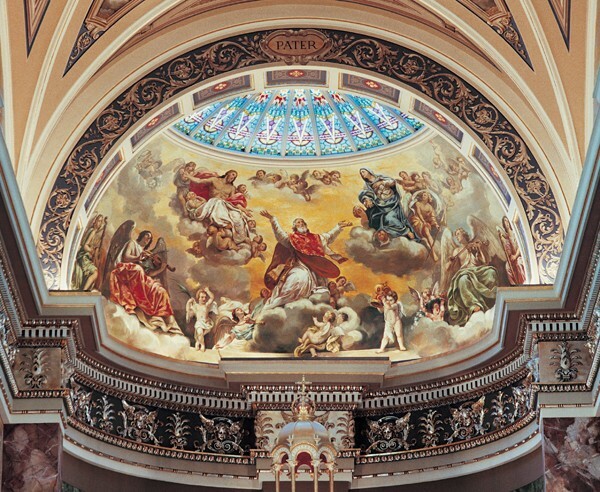 Various decorative techniques used included gilding, glazing, marbleizing, stenciling and trompe l’oeil painting. 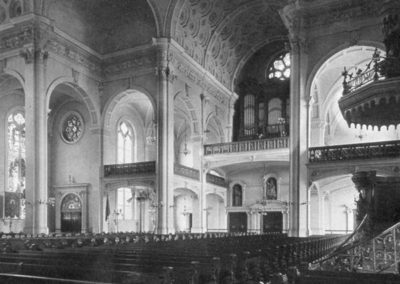 In conjunction with restoring the decoration, Conrad Schmitt Studios also restored this holy Catholic interior’s stained glass windows. 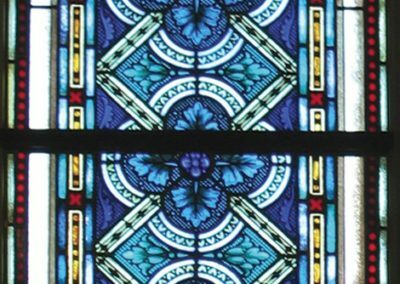 Imported from Austria in 1902, the average window contained more than 200 pieces of cracked or broken glass. 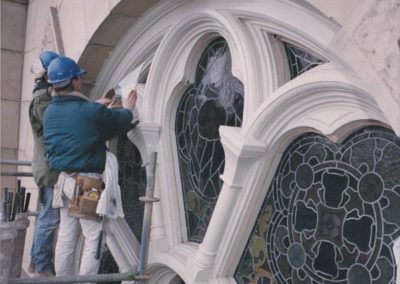 The restoration of the windows spanned 11,200 hours. 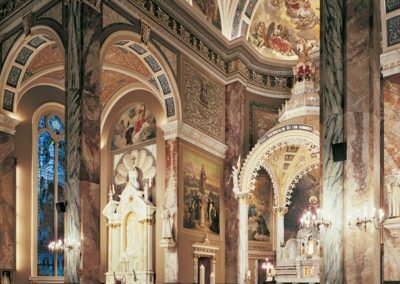 The scope of the project also included the conservation of murals, statues, and stations of the cross, re-gilding the baldachino, and marbleizing of the columns. 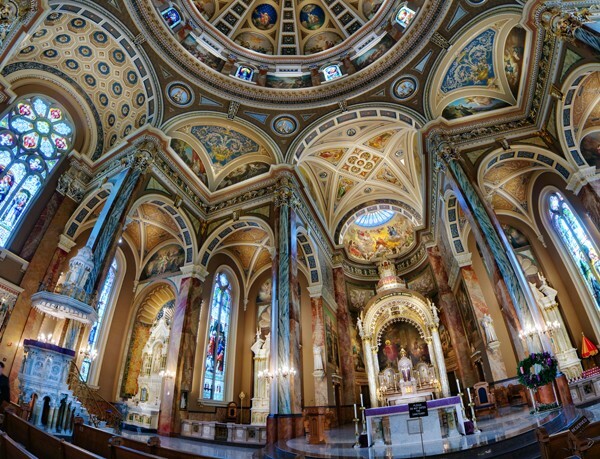 View this spectacular 360º panoramic view of the interior by Rackphoto. 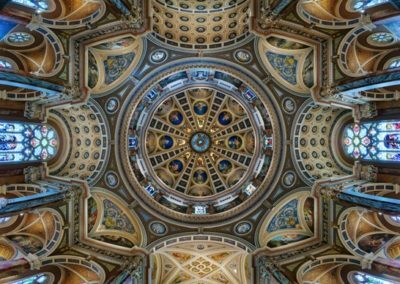 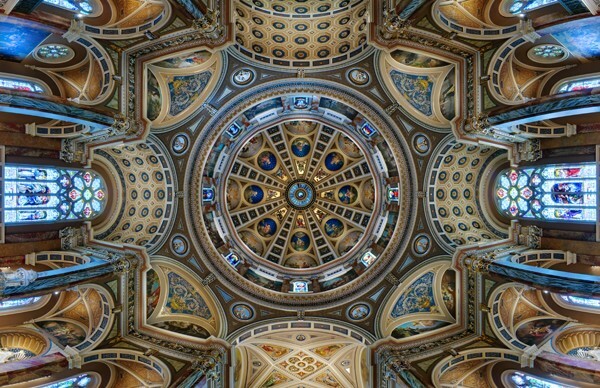 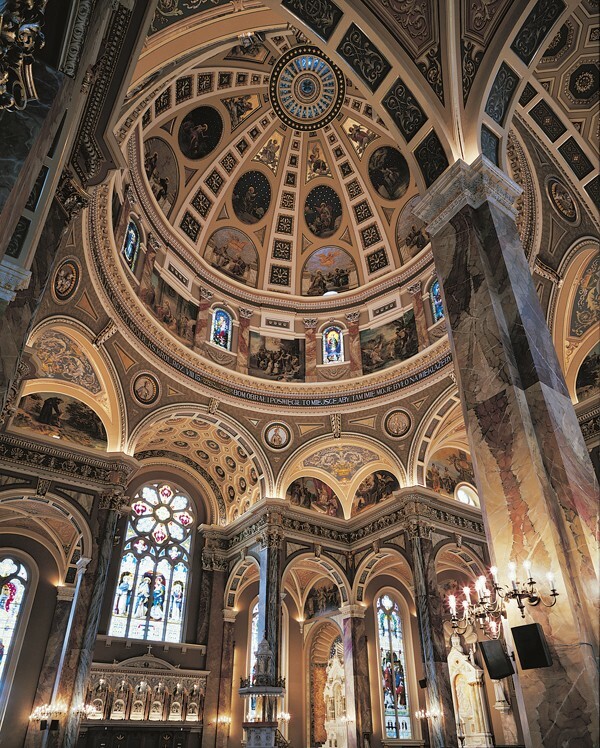 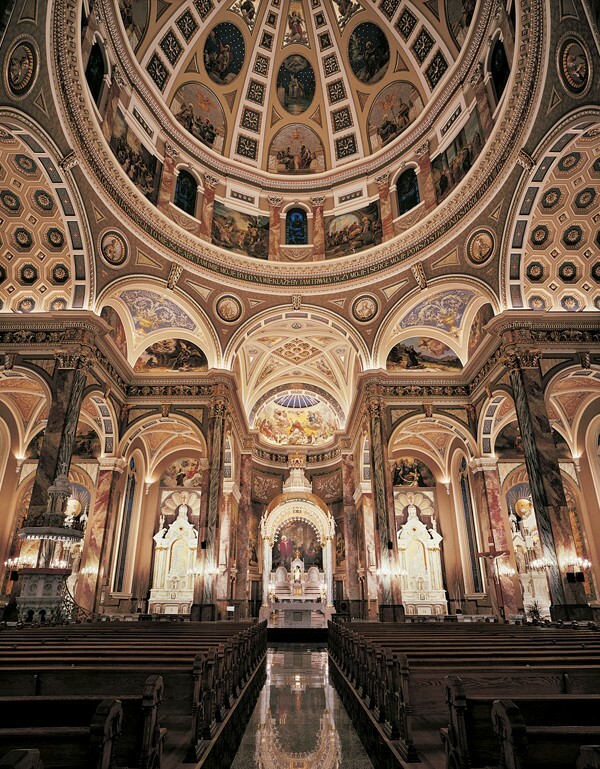 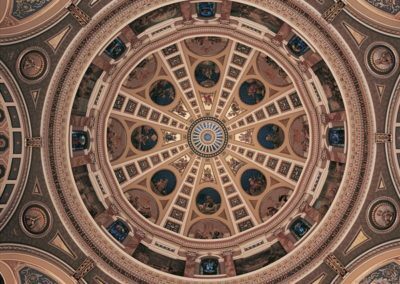 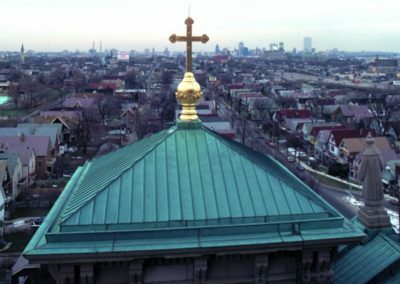 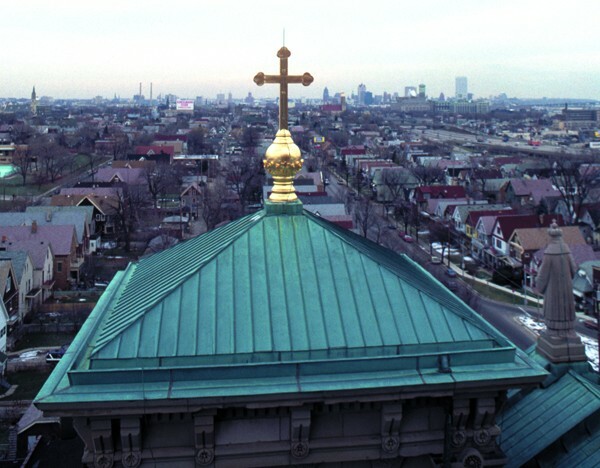 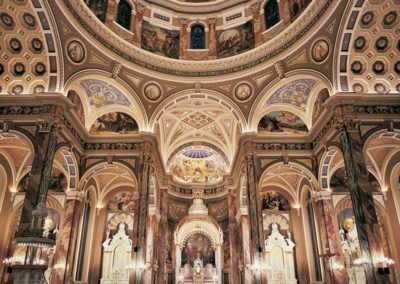 View a beautiful 10 minute documentary about the Basilica of St. Josaphat.